Deepika Padukone, is surely one of Bollywood’s most promising faces. 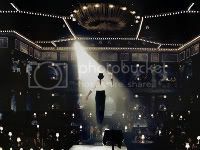 While her last few films, Chandini Chowk to China and Bachna Ae Haseeno might have failed to create ripples at the box office, but Deepika’s star power hasn’t fizzled one little bit. Check out Deepika Padukone sizzle on the Filmfare magazine. Minisha Lamba seems to be having a ball this year, Shaurya, Bachna Ae Haseeno and now Kidnap. Though none of the roles have Minisha in a powerul character, it has exposed Minisha to mainstream Bollywood. The sweet as ever Minisha, will surely be happy doing small roles in big films rather than big roles in small movies that no one bothers to catch up. Check out Minisha dropping off her Indian girl traditional image and going the Kareena way ala bikini style in Kidnap. Minisha stars opposite Imran Khan in Kidnap. Yash Raj Films are surely in a bad state again this year. With Tashan being a complete dud at the box office and Thoda Pyaar Thoda Magic doing just average business. 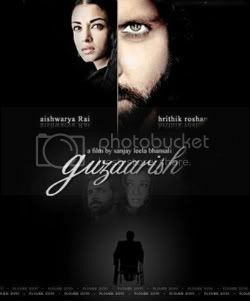 Yash Raj movies seem to be concentrating more on quantity and less on quality hence the failure. 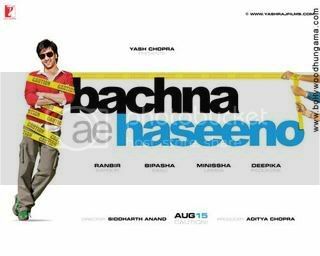 But all is not lost yet, Siddarth Anand who gave Salaam Namaste and Ta Ra Rum Pum is back with another love story, Bachna Ae Haseeno. The promos seem fresh and the star cast eveen fresher. 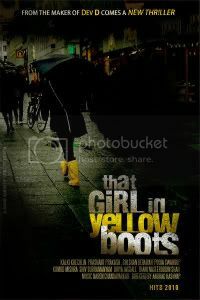 With Ranbir Kapoor making a second debut of sorts cast opposite Deepika Padukone, Minisha Lamba and Bipisha Basu. 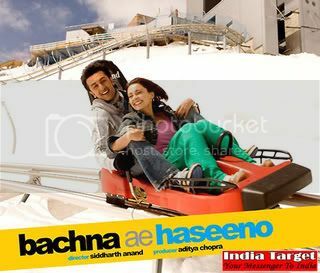 The ever dependable Vishal Shekar handle the music department and have indeed provided a chart buster sound track in Bachna Ae Haseeno. Here’s a trailer of the melodious song Khuda Jaane sung by K.K.